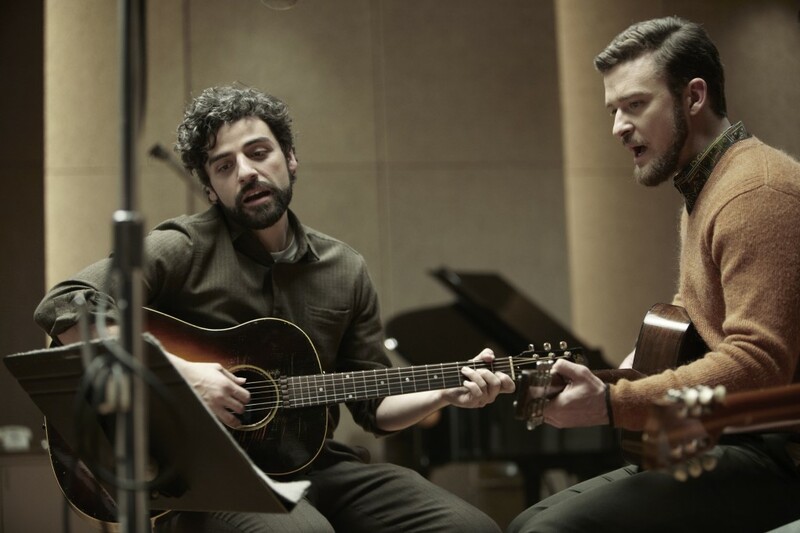 The Coen Bros. have knocked it out of the park yet again with their latest film ‘Inside Llewyn Davis‘. Although, I don’t think this will have the big box office draw that ‘O Brother Where Art Thou?‘ or ‘No Country For Old Men‘ had, but I expect people to be talking about this film for months to come and singing the impressive soundtrack, which was produced by T Bone Burnett. In the scale of things, this is a very small film set in the New York folk music scene in the early 60s. In true Coen Bros. fashion, the mood is darkly funny, and follows a man, who tries to find himself later in life through his music. I can’t recommend this film enough. 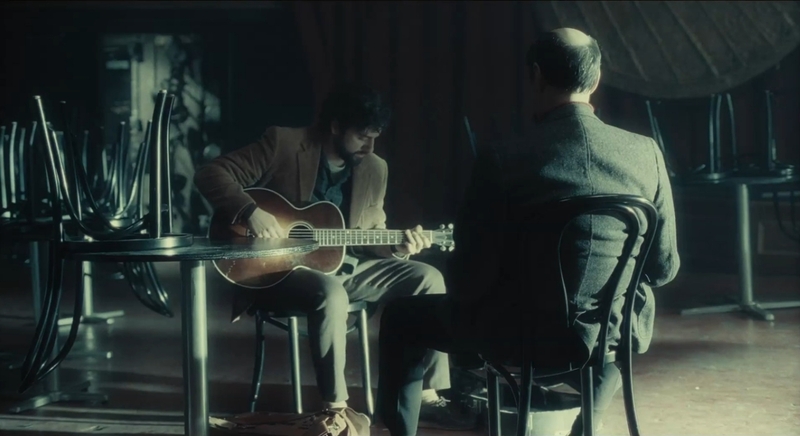 We first meet Llewyn Davis (Oscar Isaac) inside a seedy bar/cafe, where the spotlight shines on him and his lonely guitar as he sings a song about being put to death, then as he exits the bar after his set, a mysterious old man whose face we cannot see beats Llewyn severely for reasons unknown. Llewyn is a struggling musician, who has the potential to be the next Bob Dylan, but lacks manners and vision as he drifts from couch to couch of his friends if he needs to sleep, while also treating these “friends” in not such a swell manner. We don’t really know why Llewyn acts the way he does, but it seems to stem from his music partner’s early death that is still clearly effecting him. The Coen’s have crafted a perfectly flawed character that is a true test of the human spirit that we see this man get rejected, beat up, and abused – most likely because he deserved it, but how we still want to follow him into the darkness and back, time and time again. While staying at Jean and Jim’s (Carey Mulligan and Justin Timberlake) place, Llewyn is hit with some rough news by Jean, and is forced to fix it with cash he doesn’t have and perform music on stage with her and record a new commercial album with Jim and his friend Al Cody (Adam Driver), who is donning the cowboy look in New York. The recording session is very comical. 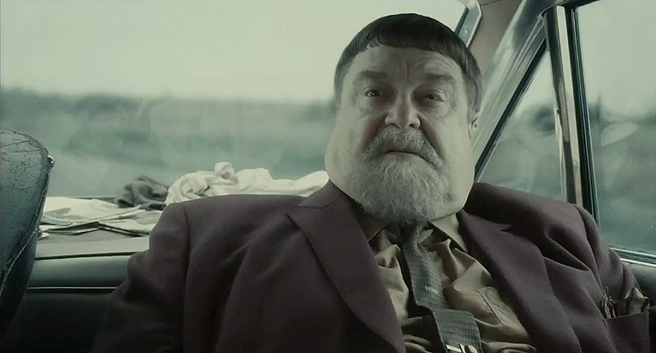 But then the Coen’s flip the film upside down into some form of a bizarre episode of ‘The Twilight Zone‘ with Llewyn going on a roadtrip to a gig with an old entertainer played by Coen favorite John Goodman, who has a personal driver who doesn’t say one word, and where Goodman himself constantly berates Llewyn. It’s a bumpy road ahead for Llewyn and perhaps on this road, we get a glimpse of the true man Llewyn really is, which makes the title seem perfect. The film is beautifully shot of course as we capture the essence of big city life in New York, but specifically in the seedy underbelly of the folk music scene. It’s not a typically bright movie, but neither is the film itself. Isaac does an amazing job as Llewyn as we see him struggle with his own mind and body through this two hours of time. And the soundtrack is killer and have been listening to it since the film came out. This is a great addition to the Coen Bros. library. Bryan’s Review of ‘The Trouble With The Curve’!!! This entry was posted on Tuesday, December 17th, 2013 at 2:43 pm	and is filed under Film, News. You can follow any responses to this entry through the RSS 2.0 feed. You can skip to the end and leave a response. Pinging is currently not allowed. « Check Out The Amazing and Hilarious New Trailer for ’22 Jump Street’!! Chewie? Chewie, is that you? Ch-Chewie! I can't see, pal. What's going on? Luke? Luke's crazy! He can't even take care of himself, much less rescue anybody. A Jedi Knight? Jeez, I'm out of it for a little while, everyone gets delusions of grandeur!